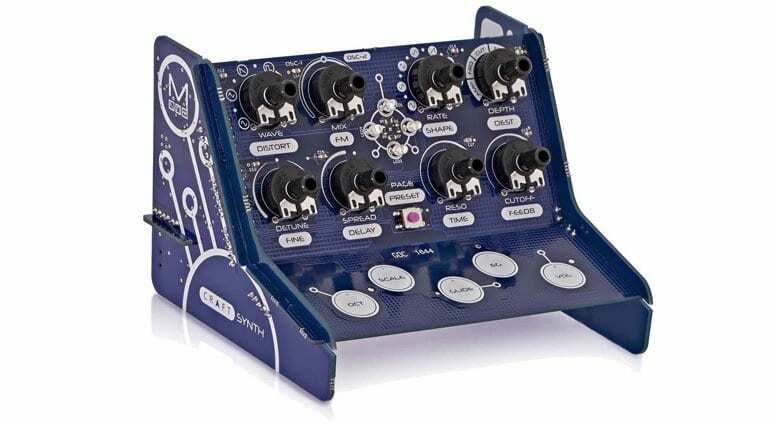 Just in time for Christmas, this fabulous looking monophonic synthesizer pops up from Modal Electronics. 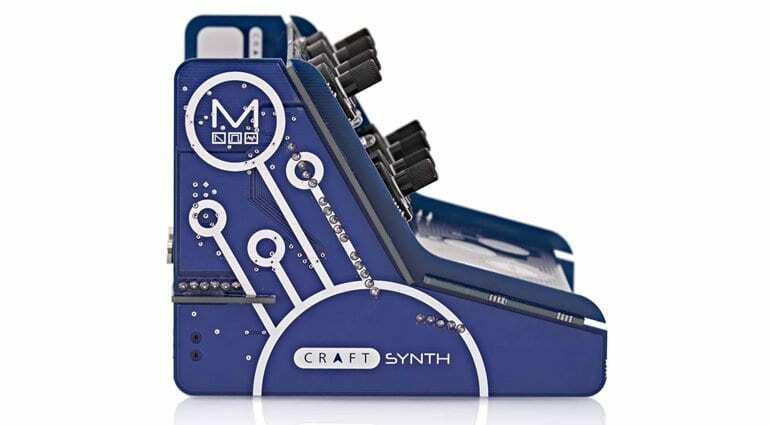 The CRAFTsynth comes in a kit form for self assembly and apparently it takes about 10 minutes – doesn’t sound too challenging, then! 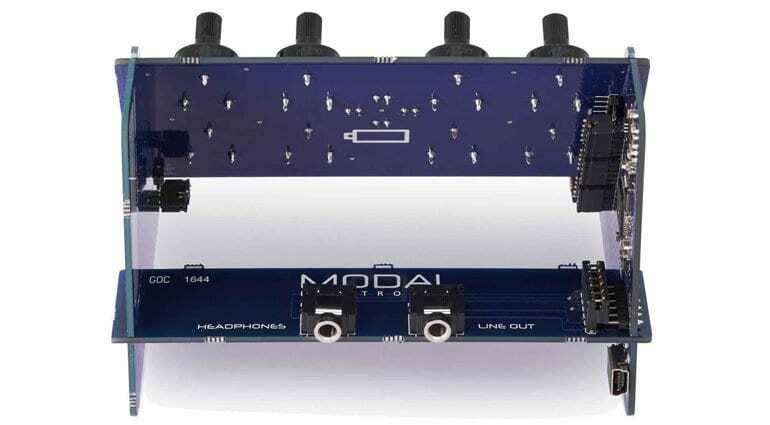 Modal Electronics are a British company responsible for the huge 001, 002 and 008 hybrid analogue/digital synthesizers. Full of style, creativity and big big sounds. 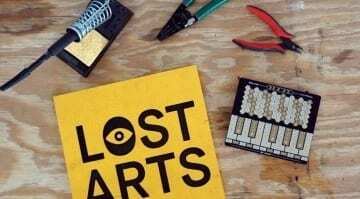 So a little DIY farty synth was not exactly the sort of thing you’d expect to roll out from their workshop in Bristol. It looks amazing. 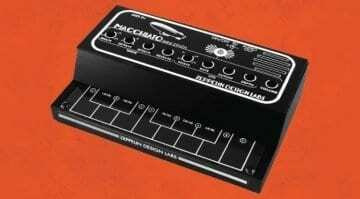 I love the styling, angling it to look like a console synth rather than just a box with knobs on. It’s difficult to get an idea of the actual size because there don’t seem to be any images involving fingers. But the layout is clear even if the knobs are a bit too naked. It doesn’t require any soldering and simply snaps together in about 10 minutes. In some ways I wonder why it doesn’t just come ready to go if there’s very little to do in the assembly of it. It’s all DSP-based, so it’s not an analogue synthesizer. There are two oscillators per voice, six destinations and four types of waveform. There’s also noise and FM, where the pitch of oscillator 1 is modulated by oscillator 2. There’s a unison/spread mode that splits each oscillator into four separate detunable sub oscillators, giving a total of eight oscillators! Not sure how all that works but it sounds impressive. 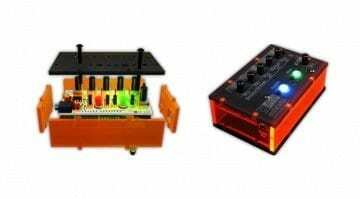 There’s an LFO, a resonant low pass filter, delay and distortion. The buttons on the front can be keys for playing notes or selecting parameters. The knobs of course do what they say on the labels. There’s storage for 16 patchs and it’s all MIDI controllable over USB. Apparently there’s an iOS app and desktop software editor arriving on MacOS and Windows very soon. It’s a lot of stuff in a little box and sounds like a load of fun. 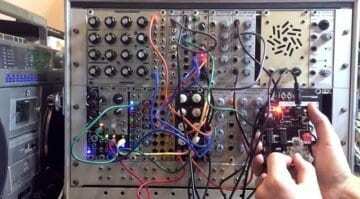 There are no videos yet but a track has been released by synth artist Ty Unwin (below) that demonstrates the the sound possibilities are pretty stunning. The price? £79. But is it cooler than a Soulsby miniAtmegatron or a Teenage Engineering Pocket Operator? 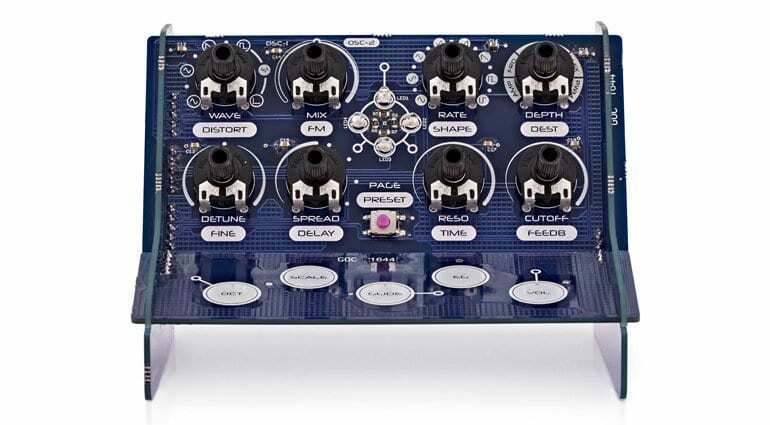 The CRAFTsynth is only available from Gear4music and should ship before Christmas. They are taking preorders now.